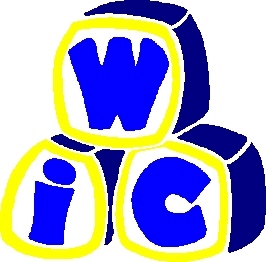 WIC (women, infants, and children) is a government program that provides vouchers for nutritious foods to pregnant and nursing women, and children up to the age of 5 who are at nutritional risk. Nationally, the program reaches about 9,000,000 children and mothers a year. Every region employs an RD, who sees high-risk participants and can tailor the food package accordingly. I was in Louisiana WIC region 1 working under Sheneda Jackson. We worked at clinics in Metairie, Chalmette, and Marerro. So what were my days like? On Monday I sat and watched one of the workers review the participants’ intake forms and enter addresses, anthropometric data, voter registration data, income data, and a whole host of other things into the computer system. For the participants who failed to bring in the WIC-17 form, which is filled out by the doctor, we had to re-weigh and measure them, and take their hemoglobin. Basically, I spent Monday sitting and staring at a computer screen, and pricking baby fingers. It was pretty terrible. Although I think the program provides a valuable service, the responsibility of entering intake data is not one that I would ever want. My favorite part was hanging out with the kiddos but they didn’t want anything to do with me after I gave them a finger stick for hemoglobin! Later in the week, I worked the other job with patient interaction, where you look over their nutrition survey and assign a risk code to every participant. They MUST have a risk code, since the program is technically only for those at nutritional risk. Most often, it ends up being “inappropriate infant feeding practices” or “inappropriate eating practices for women”. Honestly, it wasn’t hard to pick out something that people didn’t know, whether it was putting cereal in the bottle of a baby younger than 6 months, feeding an infant a bottle of water (risking water intoxication), and the most common: feeding the child sugary beverages. During this session, you are supposed to educate the participant and sign their vouchers. There is more computer stuff to enter. After two days, I really got to do things on my own. The computer program gets much easier with use, and I found that when I was given the opportunity to educate participants, it could sometimes be really fulfilling! When a concerned mother came in, I’d get excited because I knew that my expertise would be put to good use and she would be thankful to have my input. One woman said: “That’s the first time anyone ever looked at my survey!” which can’t be true, because that is used to assign nutritional risk codes. But I can see how at an under-staffed, over-booked clinic her education fell through the cracks. On Friday, there were group education classes about fruits and vegetables. For the most part, participants were interested, polite, and actively participated in the class, laughing and joking with one another. But that wasn’t everybody. It was so frustrating to me when a young pregnant girl and her mother came in looking like we were ruining their day. When they asked “How long is this going to take, because I have places to be?” and rolled their eyes and muttered “seriously? !” under their breath while browsing the web on their iPhones I had to bite my tongue. This education component comes from people who truly care about the well being of participants, AND it’s a condition of the program! If they don’t have the time and decency to sit through a 20-minute nutrition class politely, then they don’t deserve to have the government give them free food. Or at least that’s my opinion. Common decency, I tell ya. Overall, I don’t think I would want to work at WIC, but I will say that it got about a thousand times better than I thought it would as I learned the ropes and became less overwhelmed by the program. – I probably do not want to be employed by a nonprofit program. The RD was overworked, and almost always stressing about a new mini-crisis due to the underfunding issue. – Even when you have almost nothing in common some people, give it a little bit of time and eventually you’ll find something to laugh about. I thought I was doomed to never connect when the TV in the break room was showing Days of Our Lives and had several people GLUED to it, but everything ended up fine. – I much prefer speaking to people who want to be there, not who need to be there. This entry was posted in Dietetic Internship and tagged dietetic internship, Tulane Dietetic Internship, WIC. Bookmark the permalink. I am rotating with WIC next semester, so I definitely read this blog through! I hope I don’t have to prick baby’s fingers 😦 And I agree- if mothers are going to be so rude to not be paying any attention during the nutrition education portion, then they shouldn’t get the free food– I mean, come on. What better place is there to be than a place where you get FREE educaiton from health professionals and FREE food for your CHILDREN? 😛 Ok, I’m done with my rant. But I can see where it can get a little frustrating at times, working with that population.